You’ve got your family on board to recycle cans, bottles, egg cartons and newspapers, but what about things you may not have thought of like water filters or wine corks? The amount of potentially recyclable materials in the waste stream would generate more than $7 billion dollars if they were recycled, according to Keep America Beautiful. 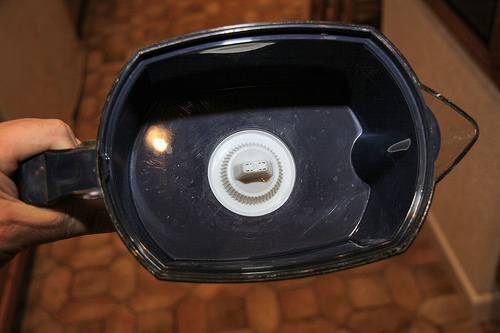 Take a closer look to discover what unusual household items you could be recycling. Think your hot tub is on its last legs? Many household items are thrown away when all they need are a few simple updates. 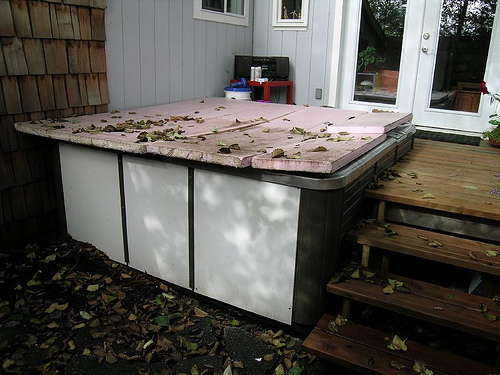 Finding the best parts for your hot tub could be what’s standing between giving it a facelift and throwing it away. If your hot tub has seen better days and can’t be sold, then it can be recycled or repurposed into something new like a water feature for your yard or a raised-bed garden box. They may be tiny, but they take up space and could be recycled or repurposed into new materials. Wine corks have been up-cycled into floor mats and artwork. If you’ve got too many to craft with, donate them to Cork Forest, an organization dedicated to preserving the Mediterranean cork forests. 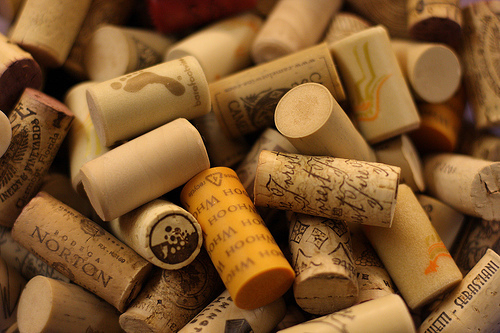 They’ll turn corks into newspapers, fish bobbers and industrial goods. Whether it’s from the filter in your refrigerator or the water pitcher from the ‘fridge, most curbside recycling programs are happy to take your filters. Companies like eco-conscious Preserve will take your old filters and repurpose them into new goods such as toothbrushes for kids and adults. 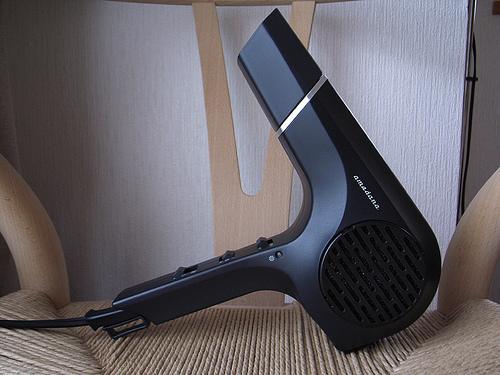 While it will likely last you many years, hair dryers don’t blow forever. Folica offers an innovative recycling program that will trade your blowdryer for a credit voucher toward a new one. 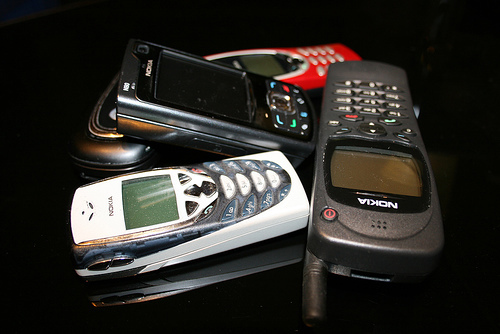 With technological advancements introduced every day, you no doubt have old mobile phones you aren’t using. If you’ve been saving them every time you upgrade, you can recycle them instead of tossing in the garbage. Earth 911 and many Staples stores will accept your phones by mail or in person. Your old lipsticks and eyeshadows won’t have much purpose in a landfill and can be easily recycled. 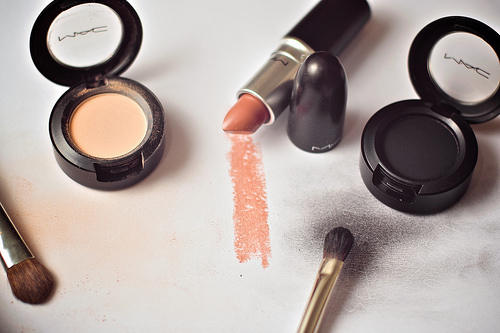 Companies like MAC Cosmetics will take your old makeup off your hands and recycle the packaging for you so it doesn’t end up in the dump. Have your sneakers seen enough miles at this point? 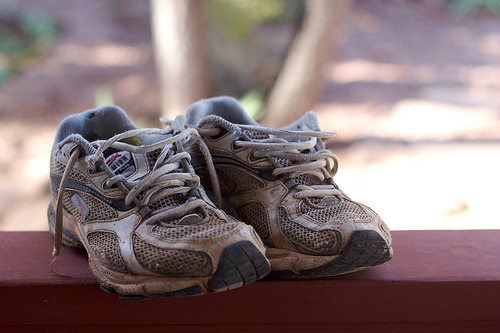 If they’re beyond repair or too beat up to donate, you can bring them to your nearest Nike store to recycle. Nike will recycle your shoes so that leftover materials can be used for new shoes rather than producing new materials each time a new pair is made. 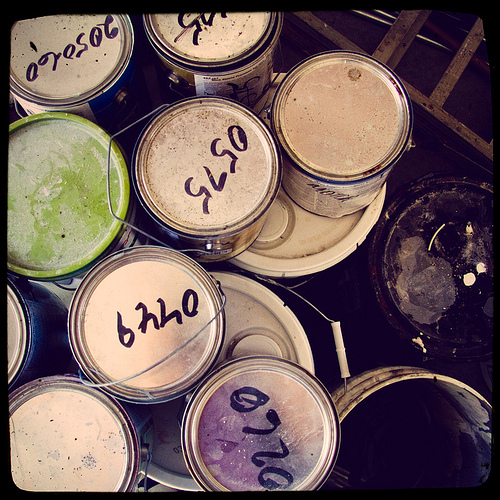 Paint is hazardous waste and should be disposed of as such. 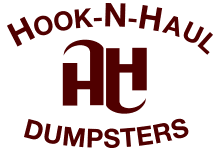 Call whomever hauls your trash and recyclables and ask about paint disposal. Also consider donating half-used paint cans to nonprofits that collect supplies for teachers.